The site is one of the largest cattery and kennels in the North of England that had large electricity bills to match! The business looks after more than 100 animals every day. The owners who have been running the business for over 26 years were keen to reduce their energy costs. After speaking with us, the owners decided to invest in a state of the art Solar PV system using premium Solar panels which are the most efficient in the world. The system was installed in February 2013 and by August 2013 had already produced over 10,000kwh of generated renewable electricity. The system is forecast to produce 16,000kwh with an ROI of 16% in year 1 and when linked to inflation, will pay back in around 6 years maximum. 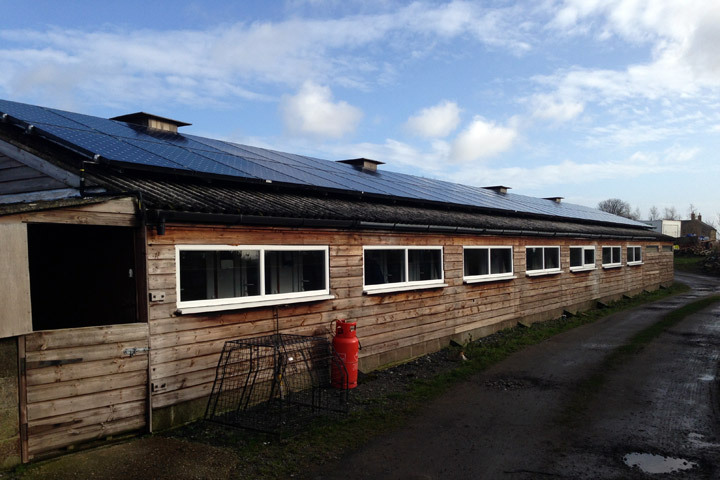 Following approval from the DNO, the system was installed in just one week (despite severely cold weather) and has been successfully delivering over 50% of the farms energy requirements ever since. 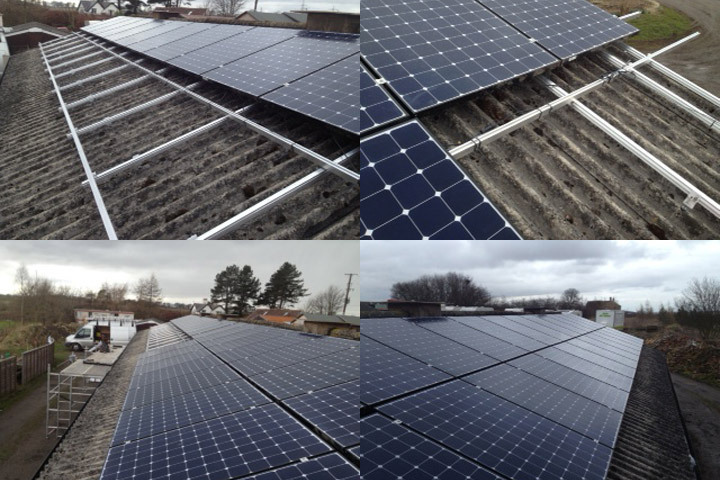 The installation was also challenging because it was mounted on a fragile roof, so great care and stringent health and safety planning was required. "I’m delighted with the installation and with the whole team who were responsive and professional throughout the process. The output of the panels is brilliant and just what we need to keep costs under control. We are the partner of choice for numerous firms who are determined in focusing on controlling their energy requirements now and in the future. Contact us today to find out how we can assist with your project.